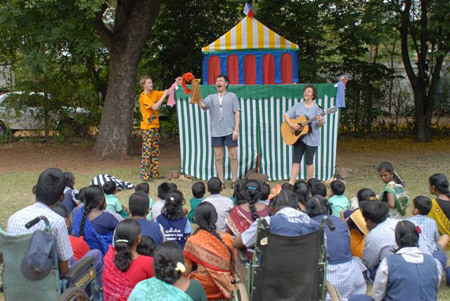 We play the theatre; we conduct theatrical, circus and photography workshops with children in countries struck by natural disasters or military conflicts and with children living in socially outcast Roma communities. We hold traveling exhibition of documentary photographs with the aim to draw attention to the uneasy life of these children. We organize fundraisers for non-profit organizations that are taking care of disadvantaged children.